Original Release: 2002. Platforms: GameCube, PS2, PS3, PS4 (reviewed). Developer: LucasArts. Publisher: LucasArts. Available on PlayStation Store. 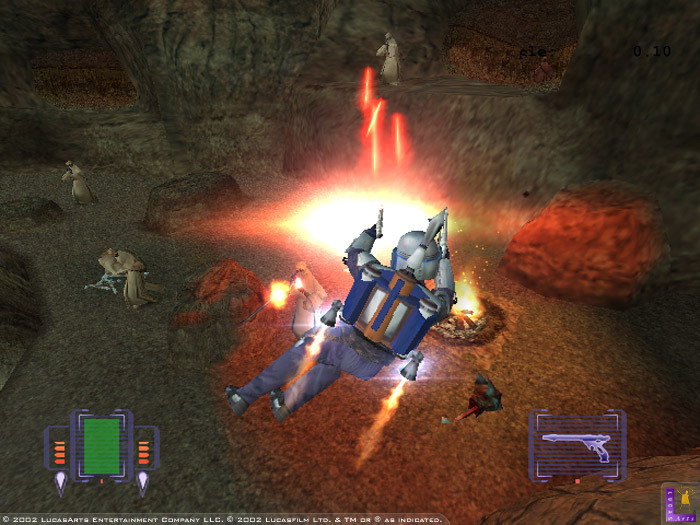 Take Star Wars: Bounty Hunter, a PS2-era game Sony re-released for PS4 this week. On the surface, Bounty Hunter is an obvious cash-in of the Star Wars license. It stars Jango Fett, the notorious Episode II henchman who added very little to the film. Its lackluster visuals and confusing controls smack of a rushed production time - which seems likely, considering it launched mere months after Attack of the Clones. Yet despite it all, Star Wars: Bounty Hunter is an absolute blast. It tells a strong story, has some unique gameplay mechanics, and is still fun to play 14 years later. 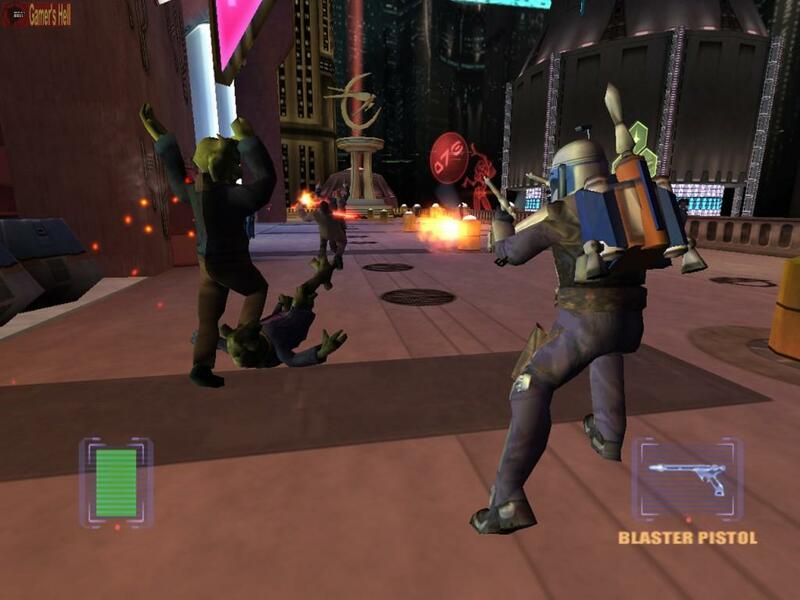 Following Jango as he shoots, somersaults, and jetpacks through enemies feels exactly how you'd imagine a badass Star Wars character should behave. The writing even makes Jango an interesting protagonist, one who's grimly pragmatic, but not so unlikable that you can't cheer for him. 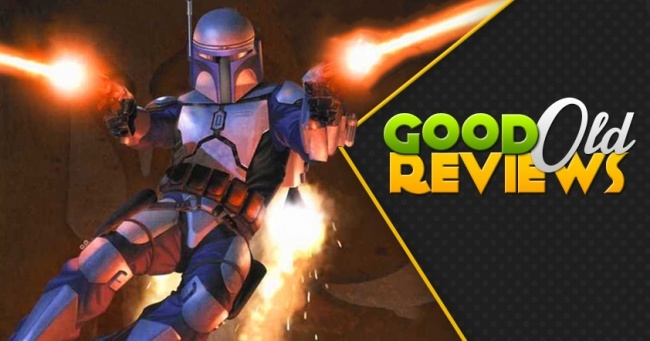 With a little more time and polish, Bounty Hunter could've been one of the best Star Wars games ever made - one that ensured Jango Fett wouldn't be quickly forgotten. Star Wars: Bounty Hunter opens several years before Attack of the Clones when the Bando Gora cult threatens to disrupt galactic industries. This is a major problem for Chancellor Palpatine, whose plans to found an Empire are dependent on having industries available to fuel a civil war. In response, Count Dooku places a five million credit bounty on the Gora's leader, a Dark Jedi named Komari Vosa. That's a challenge the notorious bounty hunter Jango Fett can't refuse - but neither can his rivals, each of whom are racing to get to Vosa first. 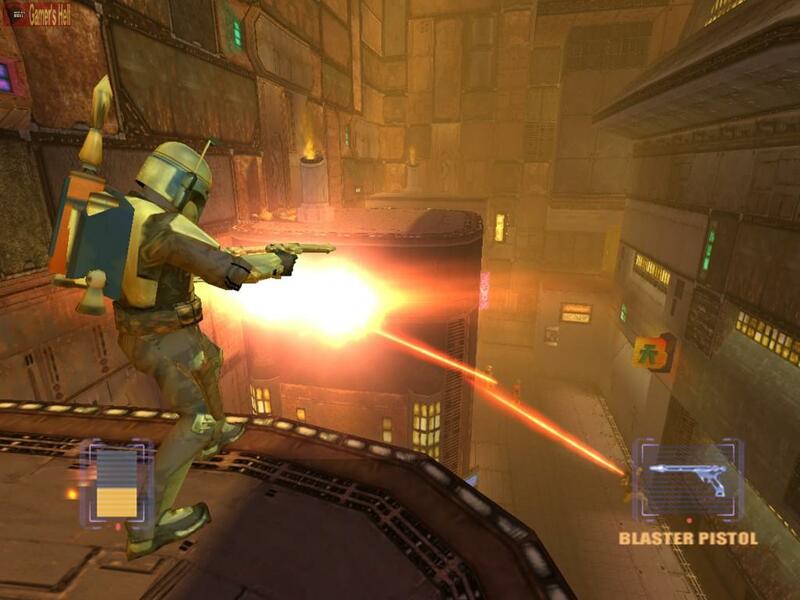 When the game begins, Star Wars: Bounty Hunter feels like a fairly average third-person shooter. The action mechanics are functional, but basic in terms of strategy. The color scheme feels faded and grey, which is rather dreary compared to Star Wars' vibrant setting. The graphics aren't much to write home about - even the updated PS4 resolutions can't salvage that. On top of that are various control issues: Specifically, the button placements are confusing, cycling between weapons is time-consuming, and the camera keeps zipping behind Jango's head when you'd rather look somewhere else. But after a mission or two, something strange happens - you start to feel like a legitimate Star Wars badass. 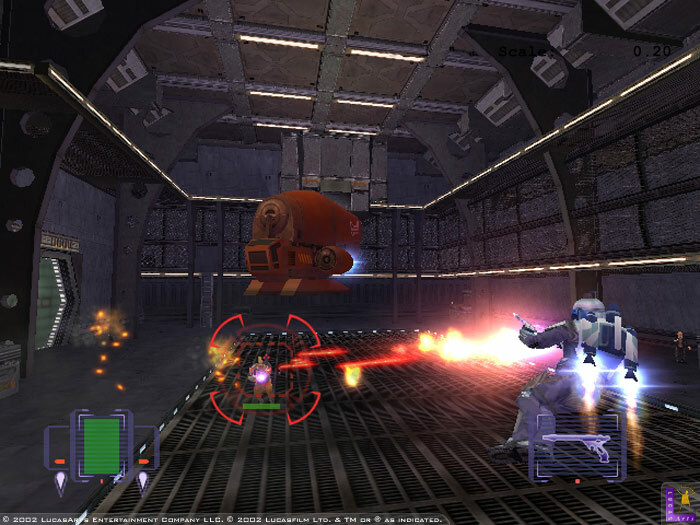 Perhaps it's the autoaim feature, which points Jango's weapon at the closest enemy, even when they're off screen. Perhaps it's how Jango's dual blasters can fire in two directions, letting you fight multiple opponents at once. Perhaps it's the fact that tapping the shoot button makes Jango fire even more rapidly than holding it, unleashing chaos across the battlefield. Whatever the case, even last-ditched shootouts against a dozen aliens on your last-health point can become victories if you're quick on the draw. It even counters that camera problem I mentioned - why worry about sightlines when Jango can aim just left of the screen and make a successful kill?